Coolant Analysis is more important today than it was 10 years ago. With engine operating temperatures increasing, the maintenance of the cooling system is critical to good engine life. Freeze Point °F: Temperature at which crystallization begins. 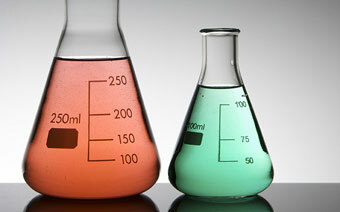 pH: The measure of the hydrogen ion concentration and indicates whether an antifreeze, antirust, coolant or a solution of these compounds is acidic, alkaline of neutral. Nitrites: Measurement of primary corrosion inhibitors present in the supplementary coolant additive. This test gives an indication of the coolants ability to provide corrosion protection. % Glycol: Main ingredient of most coolants. Too much or too little will reduce the protection of the cooling system. Conductivity: Measure of the coolants ability to resist carrying an electrical charge. It also monitors contamination levels of the cooling system. Foam: Reported as None, Medium or Heavy. Foam may be the result of lack of anti-foaming agents. Coolant that foams can cause cavitation in the cooling system. Corrosion Elements: Iron, Copper, Aluminum, Silver, Lead, Tin and Zinc. These elements are often the result of the corrosion of surfaces in the cooling system. Contaminant Elements: Calcium and Magnesium. These elements are present in hard or untreated water. Additive Elements: Phosphorus, Boron, Molybdenum, Silicon, Potassium and Sodium. These elements are present in the coolant and are additives and inhibitors designed to enhance coolant properties.